How do you solve the problem of young, healthy people refusing to buy the products that Obamacare’s beleaguered exchanges depend on them buying? That’s easy. You take away the products they do want to buy and figure they will do what you want when they have no alternative. This is a dumb theory, like so much else that underpins the Affordable Care Act. But that has not stopped the Obama administration so far. So, as The Wall Street Journal recently reported, the administration now seeks to place limits on short-term health policies, which some healthy customers have substituted for more expensive, ACA-compliant options. These plans were originally designed as stopgaps for consumers who were without insurance for a few months. As such, they offer only minimal coverage, thus falling short of the law’s requirements. Sales of short-term policies have surged in the past few years, largely because the bare-bones plans are cheaper than most other options. Because the plans do not meet the law’s standards, policyholders must still pay the penalty for failing to secure qualified coverage. But as I have observed before, the penalty is largely toothless, and even when it is factored in, the total cost of short-term policies often is still substantially less than options on the exchanges. A survey by eHealth Inc., cited by the Journal, said that 51 percent of those purchasing such plans cited low costs as the primary reason for doing so. 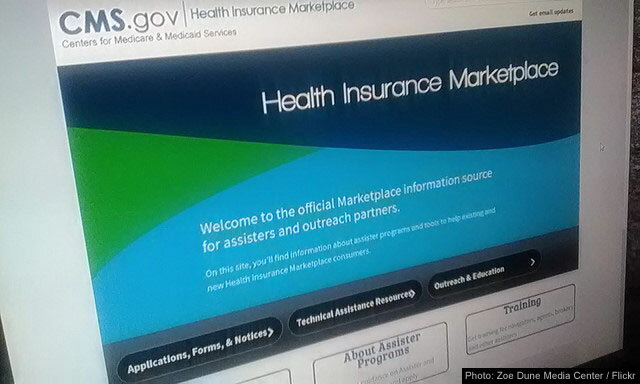 While short-term policies require consumers to reapply frequently, often every year, people purchasing such plans know that insurers with Obamacare-ready offerings still must accept them if they develop a serious condition that results in a rejection by their current insurer when they reapply. The Department of Health and Human Services, which continues to wage a losing battle against the Affordable Care Act’s many flaws, is trying to plug this particular hole by making short-term policies unusable except for the short term. A recent proposal would limit their term to three months, with no option to renew at the end of that time. The idea is that the healthy people who have been buying the short-term policies will turn to the exchanges when the short-term option is removed, thus adding more healthy customers and, eventually, making the plans viable for insurers. Reality will not work that way. If they are not allowed to buy the short-term policies that have heretofore been available, many healthy people who don’t want to pay the freight for Obamacare mandates will simply buy nothing at all. Some people will balk at the price as a matter of principle; some will simply be unable to pay the premiums, regardless of their preferences. Federal subsidies are available to many but not all ACA shoppers, but even those subsidies are subject to recapture if the buyer’s financial picture should change. So while the administration may get a few new customers out of regulating short-term policies, what it will mostly get is even more healthy people forgoing insurance altogether. As always, this will leave exchange products to be purchased by people who already know that they are going to need a significant amount of expensive care. This is why the economics of the exchanges are unraveling as scheduled. For those following the health care law’s disastrous implementation, or even just regular readers of this blog, none of this should come as a surprise. I recently discussed UnitedHealth Inc.’s decision to stop offering coverage through the exchanges in many states next year. Nonprofit co-ops are faltering, and many have already failed outright. Even companies that the administration held up as models for how the law can help consumers, such as the Geisinger Health Plan in Pennsylvania, have run up against the harsh reality of Obamacare’s economics. As we have noted an uncountable number of times before, one of the basic problems with this law is that it forbids insurers from denying coverage to people with pre-existing conditions. This so-called “guaranteed issue” mandate guarantees that Affordable Care Act policies will be bought by a disproportionate number of people who know, or have reason to suspect, that they are sick. That raises costs, which means companies must raise premiums in order to stay afloat, which in turn drives even more people away from these products in a death spiral the exchanges have already entered. A sensible alternative would have been to guarantee renewability instead of issue. This would have encouraged healthy people to buy insurance by forbidding insurers from dropping care or raising rates if healthy customers subsequently became ill. It would have been a much more effective way to encourage universal coverage – an essential component of any long-term solution to rising health insurance costs. But that is not what the law’s designers wanted. It is not what they did. So now they are left with the problems of how to get insurers to keep offering products on which they lose money and how to convince healthy consumers to buy expensive coverage they cannot afford or just don’t want. So requiring health insurance for healthy young people is just “dumb” policy, in your words. As long as I feel that I am not going to get sick why should I be forced to buy medical insurance? So if these young folks do end up in the hospital with a life-threatening injury or illness who do they expect will pay for their medical care? I don’t have the legal option of opting out of medical care for life-threatening situations so why should I have the option of opting out of insurance to pay for my treatment?